Are you looking for key duplication services? There are several reasons why you might want a key made. Here, we analyze some of these reasons. One of the major reasons why a duplication key service is very important is so as to ensure you are prepared for a disaster that might strike. The possible unexpected occurrences include a lost key or a damaged key. Whenever you lose the key to your house, you will not have to worry since you have a duplicate key. Therefore, even after ASAP Locksmith helps in accessing your house, you will not need to change the house locks since you have a spare key. 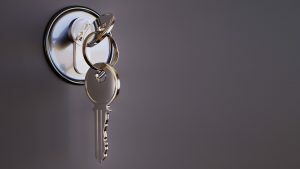 Better still, you can avoid the cost associated with hiring a locksmith in cases of house lockout since a friend you trust keeps the other key copy. If you are living with a relative or friend, you will want each one of you to have their own pair of keys. Thus, come for convenient key duplication services at ASAP Locksmith Los Angeles. When each one of you has a key, it acts as security and also makes it more convenient for everyone. You don’t need to wait for each other so as to lock the house or access the house. So, do you need duplication key service? Come to ASAP Locksmith where we guarantee you the best services. We have highly trained technicians and state of the art equipment required to have a key made. Further, we offer 24/7 services and therefore you can come to us at any time of day or night. Would you want to learn more about our services? Learn below from the frequently asked questions. We understand that you might need our services at any time of the day or night. Therefore, we have ensured that you can receive any service when it comes to locksmith services no matter the time of day or night. Read more on our emergency services page. How Long Does Key Duplication Take? We have employed top locksmith services talent and invested in the best machines for duplication key services. Therefore, you can trust us for the fastest duplication services. Our team also responds to your request for service urgently when you need it on request. Key duplication should not be done by unqualified technicians. Come to ASAP Locksmith Los Angeles for the best key made service. We guarantee you the fastest results and the quality of our duplication key service is outstanding. Contact us today for more services at (866) 550-5625.